We are thrilled that the Walmart team recognizes the importance of supporting ‘Made in the USA’ products such as ours and are certain that their customers will take pride in introducing perfect smoke kissed pizzas to their grilling menus. 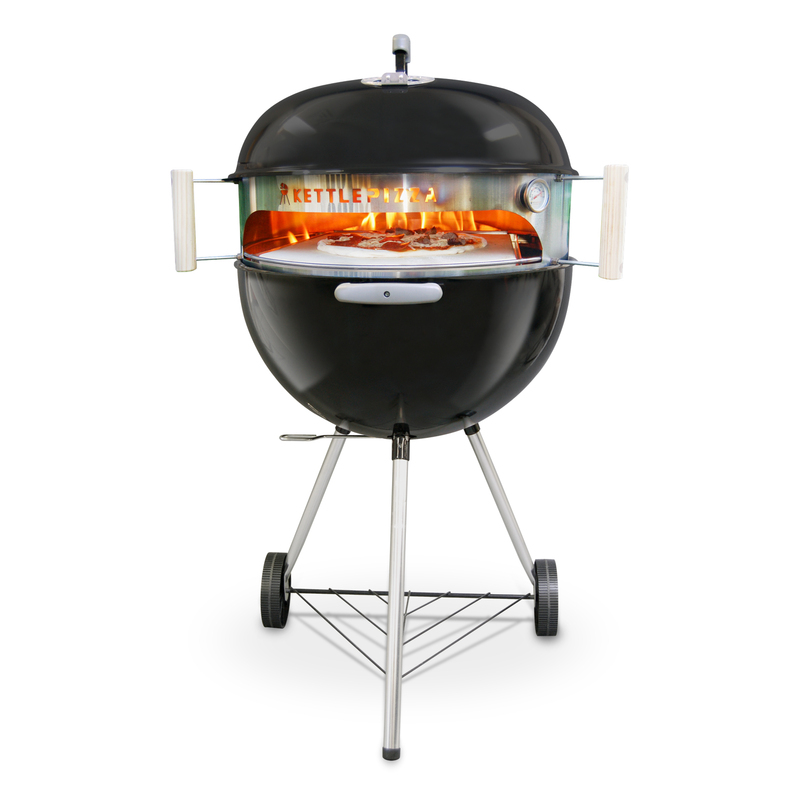 Just in time for grilling season, KettlePizza, the world’s leading wood-fired pizza oven kit for charcoal style kettle grills, announced today that its innovative “Made in the USA” Deluxe USA Pizza Oven Grill Conversion Kit ($199.95) is now available in nearly 600 Walmart stores nationwide. A wide variety of KettlePizza oven conversion kits and accessories are also available on Walmart.com. Walmart’s decision to carry KettlePizza is part of the retailer’s initiative to purchase an additional $250 billion in products over 10 years that support the creation of American jobs. Featuring an adjustable insert that rests between the body and lid of a 18.5” or 22.5” kettle style grill such as the Weber Original Kettle™, the KettlePizza Deluxe USA Conversion kit allows grillers to cook real wood fired pizza without the expense of a traditional wood fired oven. The kit also comes complete with a pizza pan, a 15” Cordeirite pizza stone, and an aluminum pizza peel. Founded in 2010 by inventors and entrepreneurs Al Contarino and George Peters, KettlePizza™ is an All-American small business success story. From humble beginnings in Al’s barn to distribution partners across the country and around the world, KettlePizza offers grill aficionados and families that enjoy home cooked meals or entertaining friends an authentic wood-burning pizza oven experience. KettlePizza has multiple patents pending, was named 2013 Retailers Choice Award at the National Hardware Show, and was recently featured on CNBC.com, Steve Harvey and The Boston Globe. For more information, visit KettlePizza.com.